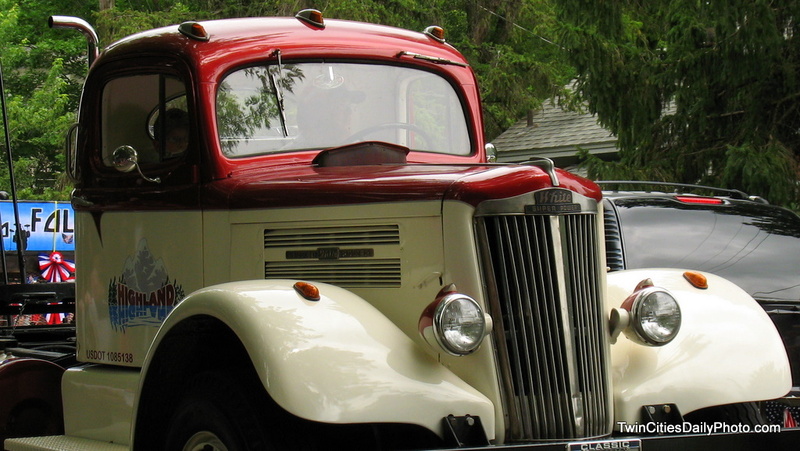 This truck caught my eye during the city of Afton 4th of July parade, it's a 1952 White Truck. I did a bit of research and originally I thought it was a 1948, though I overlooked the license plate of this truck that had "1952" written on it. So I'm going with 1952. I really don't know much about White trucks. I didn't spend too much searching, but I kept going back to a lot of antique websites that had some info on them. 10895 171st Ave NW Elk River, MN 55330.